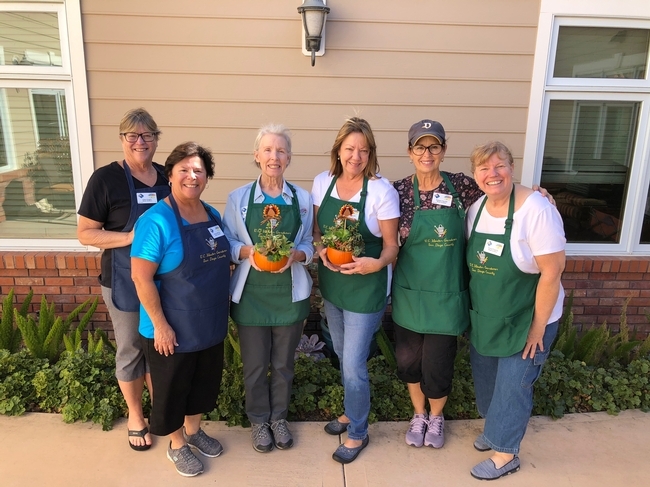 The UC Master Gardener Program of San Diego County has always been open to innovative ways of expanding its mission and passion for gardening into new parts of its community. The San Diego program has a rich history of successful partnering with other local organizations to reach under-served populations. 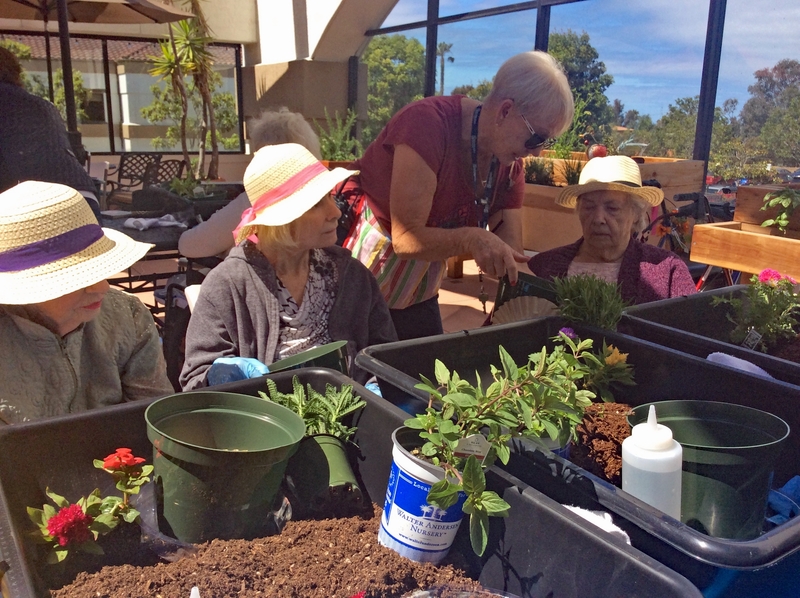 An exciting new collaboration was unveiled in March 2018 when five UC Master Gardener volunteers took their newest public outreach project Reminiscence Gardening to the Alzheimer's San Diego's (AlzSD) social activities program. Thirty participants, all community members being served by AlzSD, got their hands dirty and enjoyed a day of sensory stimulation through tabletop gardening activities planned by the UC Master Gardener leaders. The 90-minute program gave participants the opportunity to touch, move, smell, hear and see the joys of manipulating soil and plants to construct a simple potted creation to adorn their spring celebration table. UC Master Gardener volunteers knew it would be important to develop activities that were fun and, hopefully, something those in attendance had previously enjoyed. 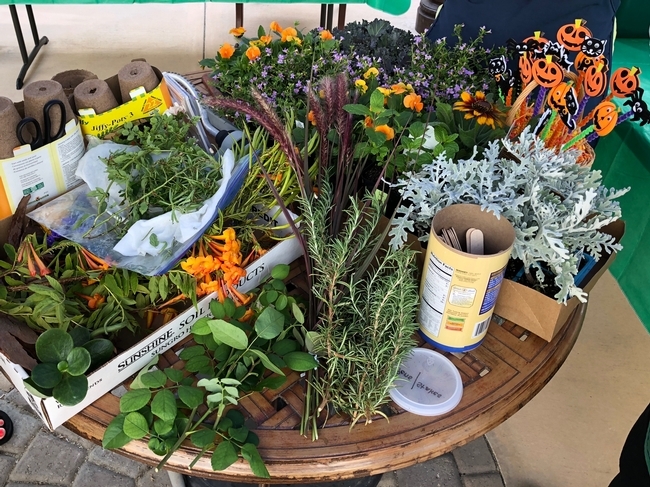 With marigolds, chrysanthemums and mint varieties in hand, participants and caregivers, worked side-by-side and guided by UC Master Gardeners, dug into the bins filled with soil, pots and tools. Each set of participants was given three plants to pot up. As this first activity progressed, UC Master Gardeners could see that participants were being drawn out and interactions around the worktable were increasing. The physical, intellectual, emotional and social benefits of gardening were being experienced and shared by all. Other sensory-heavy opportunities, all planned and guided by UC Master Gardeners, were included in the program. Participants were asked to reach into a bin filled with loose soil and wriggler worms to re-familiarize themselves with that most basic part of backyard gardening – working the soil. A variety of plants in one-gallon containers were passed around. Each container was specially marked with an icon that invited the participants to experience the visual beauty, familiar smell, unique feel and, sometimes, sound and subtle taste of each plant. Of particular interest was an activity in which everyone was asked to explore a box filled with hand tools, seed packets and other items typically used in backyard gardening. Clearly, old memories were refreshed. A vintage hose nozzle drew the attention of one gentleman. He held it for a while then began making the motions used in hand-watering the yard, moving the nozzle back and forth while mimicking the sound of water rushing forth from the attachment onto a once green and promising flower bed. Tangible signs of success, such as these, were everywhere during the social activity. Jessica Empeño, MSW, Alzheimer's San Diego's Vice President of Programs and Services was in attendance and praised the work of the UC Master Gardener volunteers. 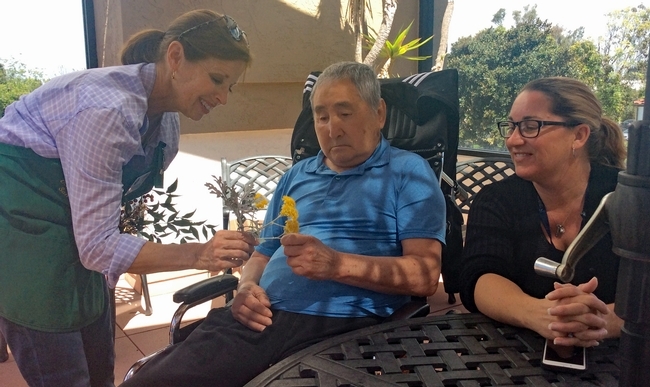 The UC Master Gardener Program of San Diego was inspired by its growing understanding of the need for more everyday experiences to address the issues facing members of our community being affected by dementia-related diseases. Those numbers are increasing at a staggering rate. The National Alzheimer's Association estimates that currently 5.7 million Americans have been diagnosed with Alzheimer's, with nearly two-thirds of those being women, and that number will almost triple by mid-century. In San Diego County, AlzSD offers social activities for individuals with dementia and their caregivers. The “Reminiscence Gardening” project's goal for those individuals is to boost energy levels, build confidence, prolong maintenance of existing skills and perpetuate a sense of purpose and joy through gardening. Further collaborations between the UC Master Gardener Program of San Diego County and other memory care communities are in the works. 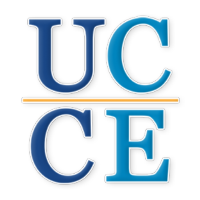 UC Master Gardeners want to share their love of gardening and their advanced training from the university for the benefit of those in our community who need it the most. Many of us know first-hand the responsibility of caring for a family member with a dementia-related disease. We know, too, the joys and benefits of being outdoors and sharing time together with people we love. We want to make a meaningful difference in our community and the Reminiscence Gardening project is a wonderful way to express that.